The number of untaxed cars on Britain’s roads has hit a 10-year high, according to official figures. It's thought that there are 755,000 unlicensed vehicles in the UK today, a figure that costs the DVLA £107 million a year in lost revenue. In 2017, the rate of unlicensed vehicles in the UK was estimated to be 1.8 per cent, compared with 0.6 per cent in 2013 before the paper tax disc was abolished. The death of the tax disc was announced as part of Chancellor George Osborne’s 2013 Autumn Statement, with the system moving to a fully digital service. At the time it was claimed that the changes would streamline renewals and save the DVLA £10 million every year. 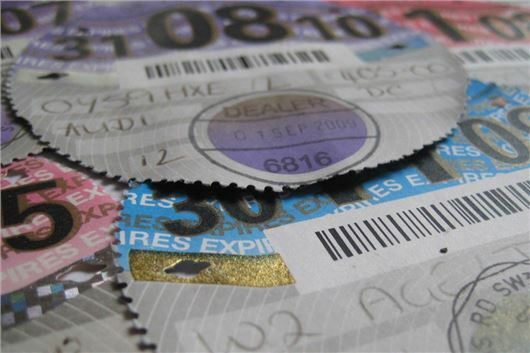 The latest report from the Department from Transport, however, shows that that the number of vehicles evading road tax – also known as VED – has more than tripled since the paper disc was scrapped. Fifty two per cent of affected vehicles have been unlicensed for two months or less, which suggests that buyers and sellers are still struggling to understand the road tax system when it comes to change of ownership. Previously, owners could sell their car with its remaining tax; however, since 2014 owners are required to contact the DVLA for a refund, while the buyer has to purchase new tax before driving the car away. The Government data also shows a significant rise in the number of cars used on the road, despite having a Statutory Off Road Notification (SORN) against them. In 2015, just one per cent of unlicensed vehicles were found to be on SORN, while in 2017 this figure surged to 12 per cent. “The principle of abolishing the tax disc to introduce greater efficiencies has, so far, evidently failed," said RAC public affairs manager Nicholas Lyes. "This latest data suggests it is now costing the Treasury more than £107m in lost revenue over a full year – higher than in any year since 2007. The Treasury noted that abolishing the paper tax disc would save £10m, however it is now seems the changes are proving extremely costly." The answer to this problem is obvious. Scrap road tax and add a cost element to fuel duty.That way the tax becomes unavoidable and made much fairer by becoming dependent upon a combination of the economy of the vehicle and the mileage travelled. Knock on benefits are that non-UK registered vehicles fuelling up in the UK would then be paying towards the upkeep of British roads and the DVLA could be downsized after removing a complete layer of their administration. It’s an argument that’s been around since God was a lad and, like lesj, I can’t see why it hasn’t been done. Those that drive further and therefore cause more wear and tear on the roads pay more – seems eminently fair to me. I hadn’t thought about overseas vehicles fuelling up here but it’s a good point. Another one occurred to me; the Department of Health is forever banging on about 5-a-day and getting more exercise. Well maybe, if fuel cost a bit more we might decide to make some shorter journeys on foot, and maybe Jeremy and Jeremiah could walk home from school with Mum/Dad rather than clogging up the roads in the afternoon unnecessarily. We’d be reducing pollution hot-spots around schools and we’d all be healthier and wealthier. As Del-Boy might say “everyone’s a winner.” We might need to think a bit more about how it would work in 2040, but for now I’m up for it. I agree- get rid of the VED and put more tax on fuel. Trouble is with this government is that they didn't seem to see the blindingly obvious- that VED evasion would go through the roof when the paper tax disc was abolished. There was no shortage of people pointing that out at the time. Utterly clueless, as usual. So this assumes that EVs will not pay anything? I entirely agree with all the above comments. This is just another example of the current drive to "go paperless" and has backfired spectacularly. I cannot see the government reversing the policy though. When the majority of private cars become all electric the amount of fuel duty will dwindle and will have to be recouped by VED. There is still a role for the paper disc to combat insurance evasion. It only needs the insurance companies to agree a design for a disc or similar to be displayed in place of the tax disc, and which could be issued annually with the renewal documents. It would cost them next to nothing and increase their custom. Easy solution..put 3 counterfeit proof discs on the windscreen for tax, insurance and m.o.t. If any illegal cars are found impound them or crush them. The only common sense comment on here. Foreign vehicles can normally carry enough fuel so that they don’t have to refuel in Countries where fuel is more expensive. We already pay enough VAT on fuel and a lot of cars have zero or up to £30 annual VED anyway. A major component is the silly rule that car tax can't now be transferred when a car is sold. If you buy a car and drive it away, you are an evader and, once an evader, it is easy to forget to do it. Works OK here in Ireland (for mot read nct) and we have random checks both on main and secondary road and you will be booked if any disc is not shown on windscreen. The Gardai doing the checks are not usually local either! I agree, should have been done years ago. Unfortunately it’s too late now with the advent of electric and hybrid cars unless it’s added at the charging stations, which it could be. HAS ANYONE BOTHERED TO CALCULATE HOW MUCH IS STOLEN FROM US BY THE PARTIAL MONTH LOSS AND FULL PAYMENT FOR HALF A MONTH EVERY TIME A CAR CHANGES HANDS RECENTLY EXPERIENCED THIS WHEN I SWOPPED CARS WITH A FRIEND HE LOST 25 DAYS + ON THE CAR HE SWOPPED SO DID I ALSO THE FACT WE BOTH HAT TO PAY AGAIN FROM THE FIRST DAY OF THE MONTH ? Stephen Mills: I already have written twice to the head of DVLA accusing them of outright fraud. and they are not even bothered. considering that it is easily possible to pay for 6 months and effectively get 4 months , due to them still employing the archaic 'disc system' whilst actually using a computer system. I pointed out that if one pays for tax on the 15th then they should be counted as having tax from that moment on, and be reminded at exactly 6 months from that date. no need to start from the beginning or end of any month. what is the point of having computer accuracy when a sundial would do. . one can only mitigate this travesty by carefulk scheduling buying and selling. If they have its a secret. I recon its a lot. There is another reason Gov is losing out and that is that with online its so much easier to cash in the tax discs. I used to leave my five motorbikes taxed all year but now cancel them when the weather looks bad. In the Netherlands the equivalent of a tax disc was abolished years ago. Also the transfer of tax between owners went the same way. When a car is bought the new owner's details go via the post office, (who also issue a paper to the seller, making he/she not liable for any vehicle offences from that moment on), to the Dutch equivalent of the DVLA and the tax office. The new owner will then receive a demand for the tax in the next few days and quarterly thereafter, with an invitation to pay by direct debit. Their system seems to work, also reminders for Mot are issued, and one must never forget the insurance companies are never slow to collect their premiums. Scrapping the VED, as has been considered by many over several years is certainly the way forward - it's fairer all round. Unfortunately however, for the government, this would eliminate a positive source of revenue and in their eyes they would no longer be able to 'control' motorists to the extent that it seems they wish to. It would take a brave government policy maker to instigate this fairer action, as the revenue income effects may well be truly detrimental. As hissingsid and beatbox say, the next logical step would indeed be to have a paper Insurance disc, as I believe is the case in certain continental countries. Apart from the obvious (VED onto fuel duty) the other way round is link via the ANPR network. Gantry's, speed camera vans, plod etc linking the whole lot up (insurance, Mot, VED to the network). Anyone with one of these missing gets a fine and three points. If they can easily get you for speeding, this should be a doddle. It should be self financing and will stop this annoying system of two tiers of the honest motorist subsidising the non payers. If the government didn't charge a 5% surcharge for paying monthly by DD, there may be more people (myself included) paying by DD. People would not then "forget" and there would be no excuse that the reminder was received. The muppets who approved this green light for avoidance no disc scheme, should pay for the shortfall in revenues so the honest motorist does not. Oh ,and lose there jobs without a pension. I sold my car to a friend who received his log book 4 days later. The DVLA still collected my monthly payments for the next three months. When I complained that they new the car had changed hands they said ,hard luck ,no refund. well, yes , but the tax on fuel is already, £2.63 a gallon, easier to go back to the tax disc... job done. all very well talking about nprc and cameras to do the job for them but have you all knuckled under to the 'surveillance culture'? have you no spirit left? 755,000 jokes the stupid government don't get. I have an MGF in France where tax is incorporated in the cost of fuel (still cheaper than the UK). The MOT is every two years with two months grace to get it fixed if it fails. MOT sticker on the windscreen. Insurance is dearer than the UK but also a sticker on the windscreen supplied by the insurance company. What can be more simple. Obviously our government don't do simple, they would rather bash the law abiding who keep the country afloat. Just. Any normal person with any savvy would have known that the loss of Tax Disc would lead to evasion.The Government are as usual on a different planet.I used to enjoy affixing my disc to my windscreen,it was always a visual reminder when to re-tax,easy.It's also a bit unfair to charge interest on the D.D. method of payment.I wouldn't mind doing it,at least i wouldn't forget, but not at a premium. If we all payed our share i guess we could actually pay less for road tax (on paper) and the same as Insurance fraud costing us all extra on our premiums because of the minority. Maybe stiffer penalties for evasion would help. So, get rid of VED and just increase fuel tax ? Great ! Then every time that the Gobment is short of a few quid to pay MPs a bit more what happens ? Yup, up goes the Fuel Tax...easy money ! We've had a neighbour who had NO Tax for 18 months (Police were informed 6 or more times but never did anything), NO M.O.T. for 14 months and surprise surprise NO Insurance (Police even confirmed this as we complained about the no tax or M.O.T. !!!). Neighbour now has an occasional visitor - again NO Tax.....this current system is a joke ! Add the Road Tax onto fuel tax so everyone HAS to pay and even more money will be raised so more roads repaired etc !! The powers that be know from day one when a car's tax or MOT has expired yet do nothing at all. The DVLA as a debt recovery agency is simply not fit for purpose. Enforcement of the debt is easy as the DVLA has the legislation in place and computers to generate the enforcement process and make recovery of the debt easy and efficiently but for some unknown reason fail to do so. Report cars with no tax or MOT to the DVLA? Forget about it because it's no more than a bluff as the DVLA knows exactly what cars have no tax and also where those cars are. In 2014 the DVLA processed 2,522,102 SORN notifications but in 2017 the DVLA processed 3,774,887 SORN notifications and that is nearly a 50 per cent increase. Well putting tax on fuel seems pretty popular so Mr Chancellor of the Exchequer how about doing it this budget and get that 107 m in everybody's crying out for a revolutionary budget this would go towards it. Do not see why some vehicles are tax free they still use the roads and the roads will need work on them ! It's all down to politics and deprived parts of the UK - what would happen in Wales if we abolished this system? Mass unemployment! Surely its not beyond the intelligence of "Civil" Servants to devise a system, on line which allows you to print a "disc" when you tax your vehicle, which could be cut out and used as a windscreen reminder. Likewise, MOT test Stations could provide a windscreen sticker as in other European countries along with a disc from insurers which even places like the Isle of Man and Jersey use. It would give me great pleasure to report transgressors although the powers that be don't seem interested in taking any action. Increase the headcount to clamp down on all the 0,000's of EU registered cars exceeding their stay in the UK thereby avoiding, VED, Parking Tickets, Speeding, Driving in Bus Lanes. They may not have insurance or a roadworthy vehicle but just get away with it because we have become a soft touch to the extent that right hand drive vehicles are bought and registered overseas without ever having left the UK. DVLA are totally clueless on how to handle this. Much too sensible a suggestion to ever be considered by a polotician. People will always come up with excuses why they did not tax their vehicle but really there are no excuses, when your tax is due you are written to and it is so easy to do it all on-line, they should just do a blitz on vehicles and those who do not have tax fine £1000 or impound the vehicles. Adding the cost to fuel would just penalise those people who pay very little tax as they drive a low polluting vehicle. Saying that the tax should just remain with the vehicle as the method of cancelling when sold I cannot see why that is a problem I recently sold a vehicle DVLA were informed that do on-line, new log book was received 2 days and I received a cheque from DVLA 4 days later. I think I have read and understood (most) of the foregoing comments. But one thing I don't think anyone has mentioned, is the Germans ! I understand the tax, mot test and insurance ( or whatever terms they use) is covered by yearly issue of a registration plate - no docs, no plate ! Seems almost fool proof ! What good did the tax disc do anyway. Just before it was scrapped I reported 2, yes two cars parked on the next street to me to a PCSO all I got was " sorry mate nothing I can do but I can report it when I get to the station"
The Government's attempt to save money by not issuing tax discs has certainly misfired. Why not insist that vehicles display a disc to show that they are insured - as happens in some countries - and make it law that the Insurance Companies have to check with the DVLA that VED has been paid before they issue the disc? As a result, there should be no cars on the road without either tax or insurance. A petition should be raised about these concerns when enough signatures have been collected it has to be heard by the government.